A Melbourne wedding ring symbolizes a commitment you will make to your lifelong partner. Hence your wedding ring will be a very significant purchase.  We here at GN Designer Jewellers in Melbourne specialise in creating stunning Melbourne wedding rings that will enhance and complement your Engagement ring. All our custom-made Melbourne wedding rings are created inhouse by our Master Jewellers using traditional handmade methods and, in some cases, more modern methods of Cad technology. To make the perfect Melbourne wedding ring we recommend that you visit us here at our Melbourne CBD store to discuss the type of wedding ring you want. Melbourne wedding rings can be designed from white gold, rose/pink gold, Platinum and palladium in a variety of carats. The width, thickness, outer profile, inner profile, types of grooves, chamfered edges can be modified with these metals. You may prefer a simple design that does not detract from you Engagement ring our you may choose a design set with diamonds to match your ring. A plain Melbourne wedding ring is usually a amalgamation of sophistication and eternity for a duo who believe that less is better and more. This naïve and classic approach in turn gains a creation that will last long. Highlight ‘His and Her’ plain wedding bands with diamonds or coloured gemstones. This will add an eternal blend of fineness and glamour. No matter bold or delicate, this can add a new level of charm into the rings to indicate your unity. Due to its qualities of being light, strong and hypoallergenic, titanium is less likely to tarnish or rust and is backed up by a greyish sheen. We here at GN Designer Jewellers in Melbourne clearly understand the diverse needs of our customers and budget scope and apprehend a couple’s extra-ordinary love story in there Melbourne wedding rings. Our expert Master Jewellers will create a couples Melbourne wedding rings that articulates the spirit of your enduring commitment that fits your style and budget.